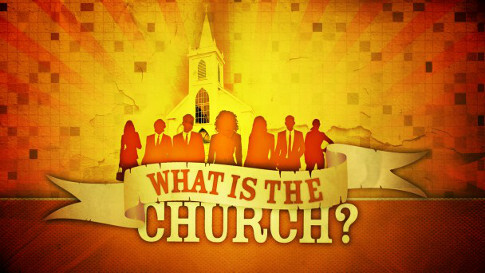 What is the “church?” Who belongs to the church? How is the church related to Judaism or is the church related to Judaism in the current age? These are the questions my Pastor and I discussed last Wednesday night. Sometimes, when we talk of these puzzling subjects, I have a difficult time conceptualizing my thoughts and feelings and articulating them while I’m with him in his office. So I ponder, and think, and occasionally, I draw (you’ll see what I mean as you scroll down while reading). I think I’ve come up with a “vision” of Pastor’s understanding of the evolution of the church from its beginnings in Judaism as well as my own “vision.” I apologize to Pastor and to you in advance for any misunderstanding I have of his point of view. He recently pointed out to me how I didn’t have a correct understanding of his view of the “end times” (which I blogged about) and sometime soon, I’ll need to post a retraction (he told me he doesn’t find a retraction or correction necessary, but I find it necessary if I intend to be honest in my transactions with him and everyone else). First things first. There are some areas we necessarily agree upon. God made a covenant with Abraham, with Isaac, and with Jacob involving promises relating to the Land of Israel, making their descendants very numerous, promises that they would be a blessing to all nations (through Messiah), and that circumcision would be the physical sign between God and the specific, biological descendants of Abraham and Isaac, and Jacob that their descendants would be the inheritors of these covenant promises. The patriarchs came from Jacob and the twelve tribes of Israel came from the patriarchs. Moses led the twelve tribes out of slavery in Egypt and God redeemed them as His special people, as per the promises made to Abraham and his descendants. God then added to His promises at Sinai and gave the Torah, the teaching and instruction for righteous living to the physical descendants of Abraham, Isaac, and Jacob. This also functions as the national constitution of Israel, and has multiple other purposes. At this point in history, Gentiles can only join Israel as gerim, which isn’t exactly conversion. The idea is that a Gentile would do what the Israelites would do in terms of the mitzvot, but the Gentiles would never become Israelites in their generation. More like resident aliens. No one can convert to a tribe or a family clan. Only after the third generation, would the ger’s children have intermarried into tribal Israel and ultimately assimilate into the Israelites. This was the only path for a Gentile to join the covenant people of God. After the Babylonian exile and a lot of history passed by, tribal and clan affiliations were all but lost. The Jewish religious authorities instituted what we understand as the ritual of conversion. Now, if a Gentile wants to join national Israel and the Jewish people, they must undergo a process supervised by Jewish religious authorities (in modern Orthodox Judaism, it is a group of three Rabbis who form a Beit Din). The men are circumcised and both men and women are “mikvahed” as the final act of conversion. They go down into the water as a Gentile and come up as a Jew. There is no multi-generational “delay” and the individual Gentile who desires to be Jewish can become Jewish and thereafter, they and all of their descendants are considered Jews. Then Jesus comes. At this point, there are born Jews and there are Jewish converts or proselytes to Judaism. Jesus doesn’t speak against the ritual of the proselytes and does not overturn this institution, even though it is not directly found in the Torah. Remember, Jesus wasn’t adverse to opposing Jewish traditions and he did overturn or object to other halachah of the scribes and Pharisees on occasion (Matthew 15:1-14 for example). We also see that Paul encountered Jewish proselytes (Acts 13:43 for instance) and he too never said a cross word about the Jewish converts or the practice of converting Gentiles to Judaism (though in Galatians, he spoke strongly against Gentiles converting to Judaism as the only way to be justified before God). Both Jesus and Paul were very direct about expressing their thoughts and feelings and if either one had a problem with the Jewish conversion process, they would have said so…but they never did. But something new happened after the death and resurrection of Jesus. I wonder if the Jewish apostles truly understood the implications of Messiah’s words. Did they believe he wanted them to make converts of the Gentiles, “mikvahing” them into Judaism? 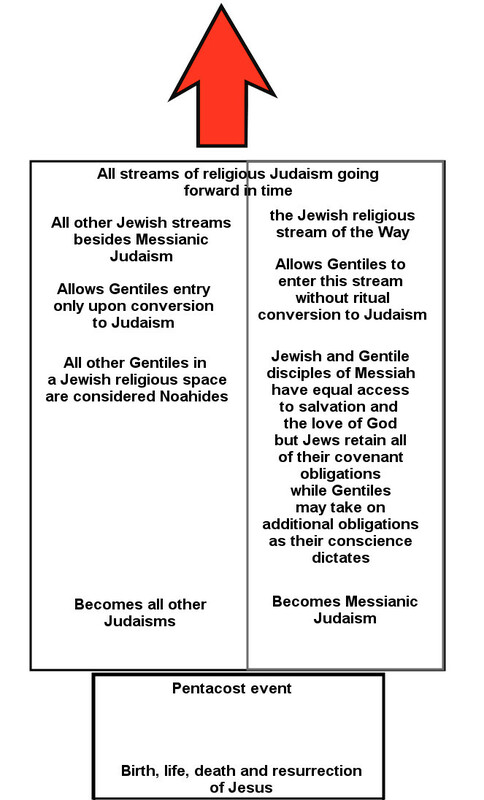 All of the other streams of Judaism accepted Gentile converts, why should “the Way” be any different? But it was and is. While Peter was still speaking these words, the Holy Spirit fell upon all those who were listening to the message. All the circumcised believers who came with Peter were amazed, because the gift of the Holy Spirit had been poured out on the Gentiles also. For they were hearing them speaking with tongues and exalting God. Then Peter answered, “Surely no one can refuse the water for these to be baptized who have received the Holy Spirit just as we did, can he?” And he ordered them to be baptized in the name of Jesus Christ. Here we see our answer. Gentile believers, like the Jewish believers, received the Holy Spirit and were baptized by water without being circumcised and converting to Judaism! This was revolutionary. This was astounding. This had never, ever happened before. It was without compare. Paul perceived this vision clearly in his subsequent work with Gentiles, but it wasn’t until the matter was brought before the council of apostles and elders of the Way in Jerusalem that a formal, legal status was granted to the Gentiles entering into a wholly Jewish religious stream (see my Return to Jerusalem series for a detailed analysis of this process). But it’s at Acts 2 that Pastor and I disagree. He believes that Pentecost is the “Birthday of the Church” and that sometime remarkable happened. Something remarkable did happen, but we don’t agree on exactly what it is. 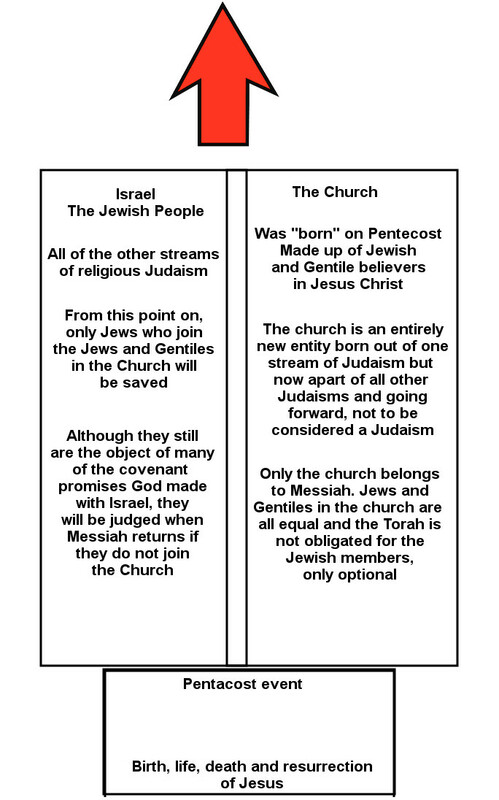 To the best of my ability to relate (and again, I apologize in advance if I mess any of this up), Pastor believes that an entirely new entity, “the Church” emerged from a Jewish religious stream and although it is made up of both Jewish and Gentile members, the members all form a single, uniform body of Messiah. At this point, the Torah is “fulfilled” and is no longer a set of commandments or obligations for the Jewish Christians. Jewish and Gentile Christians share a single set of obligations under the grace of Jesus Christ. This effectively separates the Jewish members in the Church from larger Israel and the Jewish people. Pastor says that all Jews share in the covenant promises of God, particularly possession of the Land of Israel in perpetuity, but that only the Jewish Christians are saved. My point of view is different. I see the creation of the Body of Messiah (I’m not going to call it “the Church” in order to distinguish Pastor’s perspective from mine) as the natural and logical extension of everything that happened in Biblical and historical Judaism before it. The entire stream of history and prophesy for Israel pointed inevitably to the Jewish Messiah, so when Jesus came, it was the pinnacle, the focal point, the historical hinge upon which everything in Judaism was aimed at and upon which it turned. That happened unfortunately, after the Jewish/Gentile schism in the movement (and there’s a lot of history available to describe the details, so I won’t replicate it here) and in my opinion, the “Gentile Church” was born when the Gentile Church leadership agreed that it was no longer a Judaism and that Jews were not welcome unless they converted to Christianity! If Pastor is right, then we have to consider the Jews in the Church as irrevocably separated from their Jewish brothers and sisters and perhaps even national Israel, since they no longer can identify with Israel, the Torah, and the connection the Torah provides a Jew with his nation and his God. 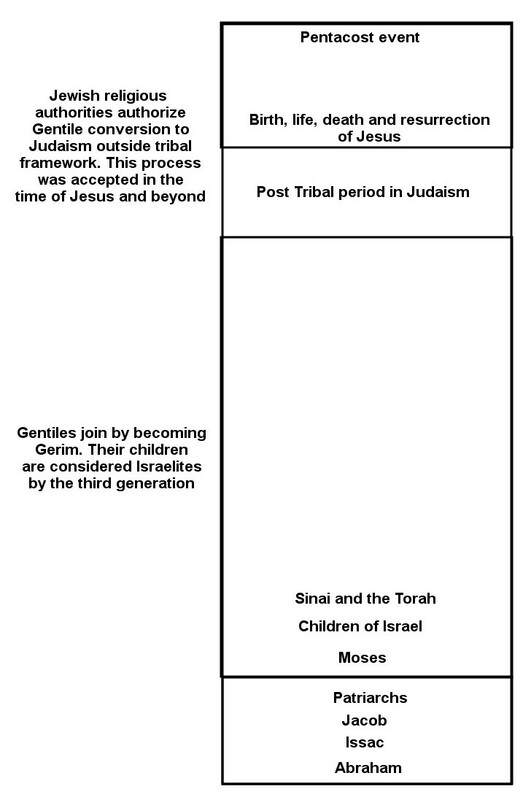 If I’m right, then we have to consider the Body of Believers in Messiah as a Jewish stream, albeit a somewhat unique one because of such a large Gentile membership, that runs parallel to all other Jewish religious streams pointing toward the future and the eventual return of the King. We also have to admit that the Torah is not canceled and that Messianic Jews share an equal obligation to the mitzvot as all other Jewish people. Again, I sincerely apologize to my Pastor and to everyone reading this if I got his perspective on these matters wrong, in even the slightest detail. It is not my intention to misrepresent anyone, but it is my intention to draw a distinction between our two viewpoints. Does it matter who is right? Is my purpose in the church, let alone the reason for my existence, simply to be right? As I’ve discovered (or re-discovered) recently, the answer is yes and no. No, it doesn’t matter if I personally am right. The world doesn’t depend on my one, small opinion. Statistics vary, but recent research indicates that there are anywhere between one and three-quarter million blogs to perhaps up to 164 million blogs in existence, and even the people compiling these numbers admit the list is incomplete. The number of individual blog posts goes into the billions and billions. Compared to all that, my one little blog can hardly matter, even in the human realm, let alone God’s. Any religious blogger who thinks they’re “all that and a bag of chips” can only make me laugh. On the other hand, it’s vitally important to examine the question “who is the Church” and especially “what is the Church”. If “the Church” turns out to be a terribly misguided Judaism that has wildly deviated from its original course, then we require an exceptionally radical “course correction.” No, I’m not suggesting a revolution in the Church as such, where we strip away 100% of church culture as it has evolved over the past twenty centuries, but I am suggesting some form of change. This is exactly the sort of process described by First Fruits of Zion (FFOZ) Founder and President Boaz Michael in his book Tent of David. The answer to the question of who and what “the Church” is has profound implications if we believe that the modern Messianic Jewish opinion is correct and that “the Church” was never intended to be a totally unique religious unit, disconnected forever from Israel, the Torah, and the Jewish people. In my opinion, everything God did across human history was ultimately additive, no replacements or substitutions accepted. Abraham and God make a covenant, and as part of the conditions of that covenant, Isaac is added, then Jacob is added, then Jacob’s children are added as the patriarchs, and then their descendants, the Children of Israel are added, and they are made into a nation and the Torah is added, and possessing the Land of Israel is added, and all of the prophesies by all of the prophets pointing to the Messiah and the Kingdom of Heaven are added, and the birth of Messiah is added, and the death and resurrection of Messiah are added, and the Jewish religious stream that is identified by faith in Messiah is added, which includes the Gentiles entering this Jewish stream being recipients of the blessings of the covenant God made with Abraham…all in one, nice, neat, straight line across history as drawn on the canvas of time by God. One nice, neat, straight line from Abraham to Moshiach. Any bends in the road, any wrinkles in the asphalt, any potholes, any mudslides, any detours, have nothing to do with God and His intent. We’re the ones with the jack hammers and sledge hammers pounding away at that line, making it crooked and not straight. But we’re the ones who were charged with caring for the road, just as Adam was charged with caring for the Garden (and look how that one turned out). I’m not in charge with being “right” but God did say that I’m supposed to take care of my little section of the road upon which the King will walk as he returns. I can’t fix it all, but I have to do something. He’s coming soon. I can’t just lie down on the job and call it good. He’s coming soon. I’ve got to do my best, with the help and by the will and grace of God, to make and keep my little piece of the road of the King straight. For more about the relationship between Jewish and Gentile believers in the Body of Messiah, see Derek Leman’s short article, Citizens, Not Natives. Dear one, your title says it all! A big part of the confusion when I have discussions like this with others, is a confusion over terminology. We tend to use words within the context in which they are *currently* understood — terms like “Christianity” and “Judaism,” in our current understanding sound like totally different religions. But as you mention in your post above, that’s primarily because of the long, complicated history that has transpired over the last 1800 years. 1800 years ago “Judaism” and “Christianity” were part and parcel of the same overarching religious system. We could call that system “Judaism,” for lack of a better term, but it would have to be “Judaism” as it was understood in the first century — an organic entity, with the Torah/Tanakh at it’s core, and different sects debating/vying with one another over “Who’s in, Who’s out.” Christianity was a sect of this original Judaic milieu, and the only alternatives to “Judaism” were different forms of paganism, atheism, and agnosticism. The question we all struggle with is “What do we do with Judaism and Christianity as they exist today?” I certainly do not believe that Christianity is simply a “terribly misguided Judaism,” but when you dig into the history of the early church/church fathers, you do see a movement away from the externally Judaic aspects of the faith — certain liturgical aspects, but not all; Sabbath; Feasts; Kosher; etc. (and a movement towards other foreign things), but you also see a *maintaining* of many other aspects of the faith (many “moral” Torah commands, upholding the “weightier matters of the Torah,” etc.). So I would argue that the Christian church is in need of *some* course correction — but not a ton (a reformation, lowercase ‘R’). I definitely wouldn’t say that this “correction” would involve stripping away 100% of church culture — heaven forbid! There are many traditions and good things that the church has done and contributed over the centuries that nobody should expect Her to give up. But I do believe we are seeing today a gradual “reformation” within the church that is changing her theology, and her practices, in ways that will make her appear more “Jewish.” I don’t think that’s a bad thing — just a natural byproduct of being separated from a loved one for a very long time, and coming to know, understand, and love them once again. I really like, “given a gift and allowed to play with it for 2,000 years.” That is a rather succinct way of putting it. And yes, all we can do is straighten our part of the road. But I believe that the (wrong) road the “church,” took was part of the plan from the beginning. Acts 20:28-31 details this with frightening clarity. If we believe Shaul’s words, then those wolves who arose up among the first century Yeshua movement from within, to draw disciples after themselves, are still running things. Sure, there are some real sheep and a few real shepherds in the wolves pens. I don’t see Messianic Judaism (which is no longer Jewish) as straightening things out; but there is a message of truth that is somehow getting out. I didn’t read Derek Leman’s article, and for good reason, but I wonder if he is calling himself a Jew as he expounds upon the roles of Jews and gentiles? James, I know you don’t like to bring in personalities, but I believe honesty is an important issue. Perhaps the three generation rule was not such a bad idea, as the community had an opportunity to ascertain who was really with them. As well, the Kohanim were required to marry only a virgin of Israel or the widow of a priest. Thanks for your comments lona and Rob. It seems like there’s so much distance between the Church’s view of itself and its history and mine. I wonder if I’m doing the right thing by being involved at all. Recent “offline” transactions have led me to doubt the viability of a daily “morning meditation” or at least the content I traditionally pursue in this venue. From limitless options I’m reduced to one. I’ve got one more meditation in the queue for Sunday but Monday will be a whole new ball game. You and I agree on a lot James (though we might not see eye-to-eye on a few key things). I appreciate your tone though, and agree with your desire to grapple with these issues. I’m not sure what content in these meditations you’re questioning the viability of, but I think that grappling with these issues is a step forward in the healing/reconciliating processes between Judaism and Christianity. All I can say a this point Rob is that you and everyone else will find out more in Monday’s “morning meditation.” Meanwhile, I’m going to try to salvage what is left of today so I have the hopes of any sort of peace on Shabbos. My take is you should keep doing whatever you feel called to do. But it would be helpful, if in your study of Judaism, you understood a bit about the Jewish culture. You are a product of Christian culture, which feels uncomfortable around controversy and believes everyone has to get along. If someone says, “ouch,” let them express themselves. Since people who are not Jewish and some who never grew up Jewish have taken over Messianic “Judaism,” why should I want to be a part of it? At my age, I don’t need love and acceptance that is earned via compromise, thought reform and silence. This is getting into cult parameters when certain thoughts or speech is off limits. I can understand why few intelligent and creative thinking people want to have anything to do with Christianity or MessyWorld. The pressure to conform and shut up is ubiquitous and enormous. It is not a matter of disagreement, because I see disagreement as good, not bad and an opportunity to examine differing viewpoints. I object to dishonesty, and I had a bizarre exchange with Derek where he made all sorts of strange accusations against me and refused to answer my questions. I had some wonderful friends during my years in MJ, but can tell you that it was filled with politics, deception and cover-up from the get go, to protect and prosper, “the movement.” Why would anyone want to be part of something like this? I feel a responsibility that naive people who may be trusting those who do not have their best interests at heart. So all someone has to do is cry, “You hurt my feelings,” and you close up shop? Is this a sixties encounter group? The fake Jews find real Jews threatening, because we don’t need them or buy their products or kiss their toochis. They have a whole population almost asking to be exploited. Okay, you are going to delete this. You are probably going to end up blocking me. I know, the “names,” don’t need to dialogue with anyone, and can shut down dissent that might challenge their market share. It is up to you to decide if you want to cave or you desire to have courage. When it comes to balancing interests, the talking head or the golden egg laying goose always weighs more. So much for differing weights and measures.